Power Star Pawan Kalyan is currently busy with his upcoming film in the direction of SJ Surya. Pawan is preparing things to be perfect for the film directed by SJ Surya. Meanwhile, there is a lot of buzz on the movie Pawan will act in after SJ Surya’s. Already there are reports that Pawan Kalyan’s close friend and filmmaker Trivikram Srinivas is penning a story for him. The latest buzz is that SJ Surya’s film will release for Dussera and this movie with Trivikram starts from November. 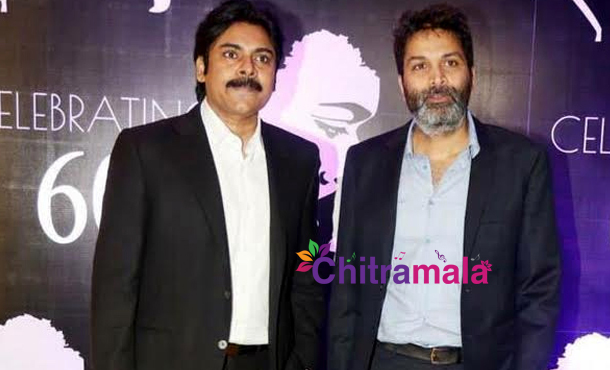 In the past, both Pawan and Trivikram teamed up for the films like Jalsa and Atharintiki Daredi. Trivikram is currently busy with ‘A..Aa’ promotions and he will begin the pre-production work of Pawan’s film from June ending. The complete details will be out soon.